The PlanBTV Walk/Bike Master Plan is Burlington’s first comprehensive plan for active transport. The 10-year plan was initiated in April of 2015 and unanimously adopted by Burlington’s City Council in March 2017. Hired by the City of Burlington Public Works, Street Plans worked with Dubois & King to lead the public engagement and production of the 10-year master plan. Public engagement included social media feeds, an interactive project website, Handlebar and Walkabout Surveys, the transformation of a vacant lot into a public meeting space, and two Tactical Urbanism demonstration projects to illustrate possibilities for better bike and pedestrian infrastructure using temporary and low-cost materials. 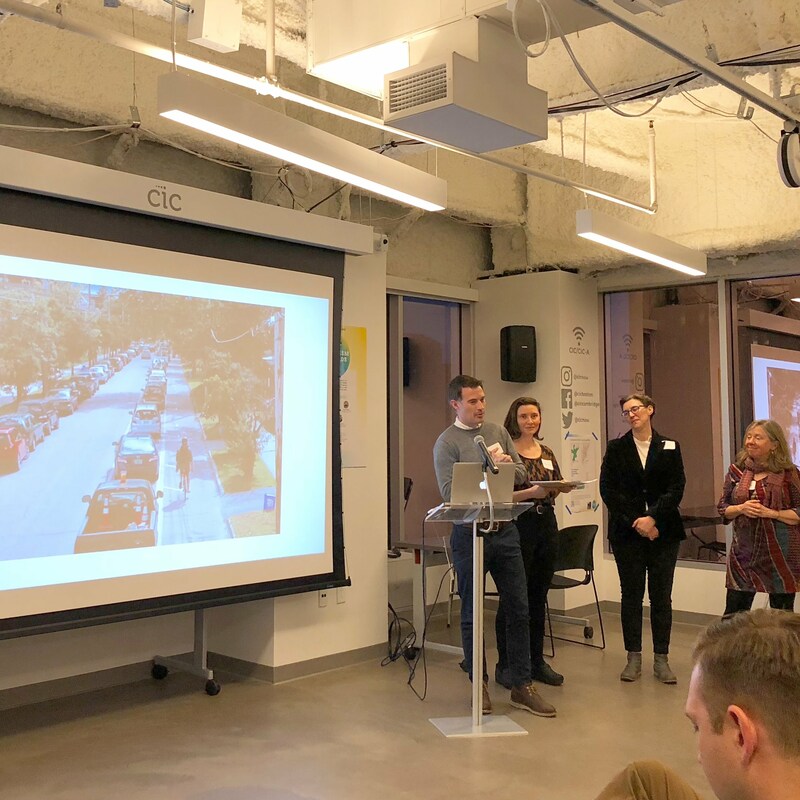 Lessons learned from the Tactical Urbanism projects also helped inform the final Citizen-Led Demonstration Project Policy + Guide, a supplementary policy framework that Street Plans created to allow citizens to propose and legally implement one to seven day demonstration projects. OpenDataSoft, an online startup with a mission to make data more open and accessible for businesses, recently interviewed Street Plans’ Principal Mike Lydon about the relationship between Tactical Urbanism, open data, and the future of cities. Mike Lydon is quoted in the article saying: “One task for us as tactical urbanism practitioners is to create new types of programs and policies that allow citizens, agencies, cities and departments to very proactively collaborate. In doing that, they are able to meet each other as equals and develop fun and engaging projects.” Tactical Urbanism and open data share the principle of increasing collaboration to solve various issues facing our cities. Street Plans’ Principal Tony Garcia was a keynote speaker at the Georgia Walks Summit on March 15-16. The annual summit, hosted by a pedestrian advocacy group called PEDS, brings together state transportation and public health officials, elected officials, and community advocates to share ideas and projects for more walkable communities. Tony spoke about how Tactical Urbanism can be used to widen public engagement, test ideas, and more quickly implement projects that improve pedestrian safety.